Today, we continue Spider-Verse week with yet another alternate universe Spider-Man, this time from Earth-1610 or (as it is more commonly known) the Marvel Ultimate Universe. While not as immediately popular as Spider-Gwen, Miles Morales was immediately controversial. I have to admit that I was one of those that originally didn’t like the idea of a new Spider-Man (then again, I’ve never really cared for the Ultimate line of comics anyways), but Mr. Morales has begun to grow on me. I always love the exciting new possibilities that come with a new character as we watch them grow and develop into a hero. There’s just something refreshing about new teenage heroes, which is why I think Miles, Spider-Gwen, and the new Ms. Marvel are so hot right now. Miles Morales was just a normal 13-year old kid with an aptitude for science. While visiting his career-criminal uncle, Miles was bitten by a stolen radioactive spider. Miles began to manifest spider-influenced powers, but he decided to leave the crime fighting to the real Spider-Man. After Peter Parker died at the hands of the Sinister Six, Miles felt guilt over not using his powers to help Spider-Man and adopted Peter’s crime-fighting philosophy – that with great power comes great responsibility. 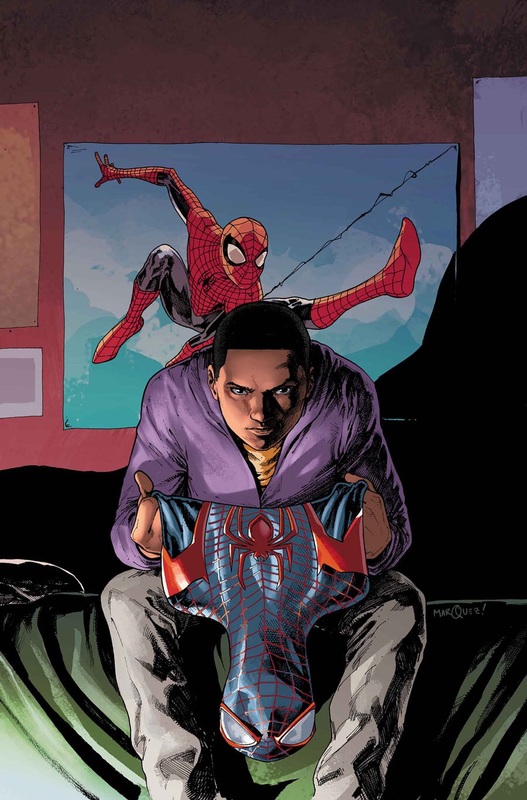 Despite being young and wildly inexperienced, Miles overcame his own self-doubt and proved to the world that he can do whatever a Spider-Man can do. Below is the Ultimate Spider-Man. Enjoy, excelsior, and have a MARVELOUS New Year! 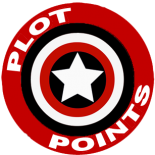 PS – Thanks again to Mark for getting Miles all done up in his proper Marvel Plot Points duds. 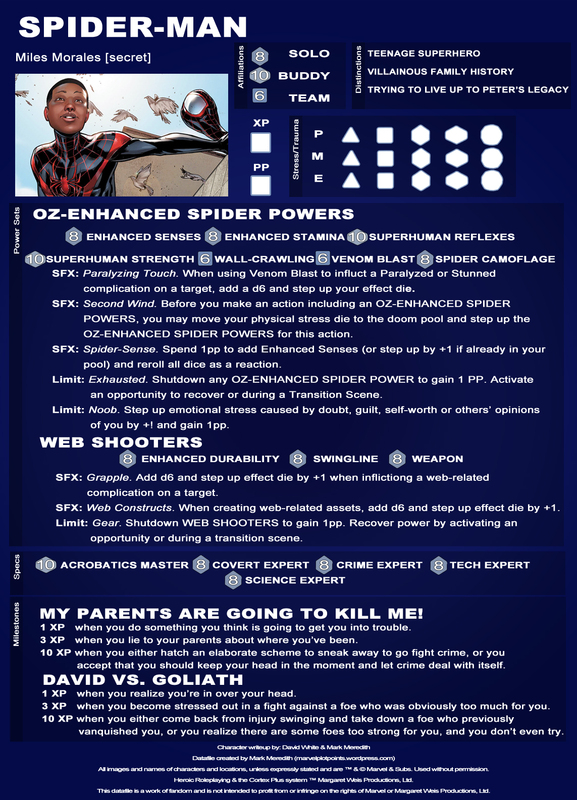 This entry was posted on December 31, 2014 by David W in Datafiles, Spider-Verse.